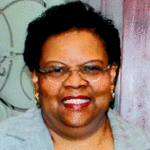 Obituary for Janet P. Bonds | McGuire Funeral Service, Inc.
Janet Paulette Bonds, 69, of Silver Spring, MD, was the oldest of two children born to the late James and Lucy Bonds and was a longtime member of Peoples Community Baptist Church, Silver Spring, MD. Janet is survived by her devoted brother, James L. Bonds, Jr. (Deborah) of Newport News, VA; aunt, Leatha Bonds of Worth, WV and a host of loving cousins, other relatives and friends. The family will receive friends on Thursday, November 1, 2018, 5 p.m. to 8 p.m. at McGuire Funeral Home, 7400 Georgia Ave., NW, Washington, DC 20012. Funeral services will be Saturday, November 3, 2018, 12 noon, at Galilee Baptist Church, Northfork, WV. Interment will follow at Restlawn Memorial Gardens, Bluefield, WV.